NEXT | Are you leveling your battle pets? A short list of 7.3 hotfixes was released last night, addressing a few loot issues and some PVP adjustments as well. Players that have been experiencing trouble getting that pesky bonus roll window to pop up on Greater Invasion Point bosses can breath a sigh of relief — the issue has been fixed. In addition, an issue preventing players from looting Grand Magistrix Elisande has also been corrected. Death Knights have had a slight PVP nerf — Chains of Ice reduces the target’s movement speed by 50% for Unholy and Frost, down from 70%. 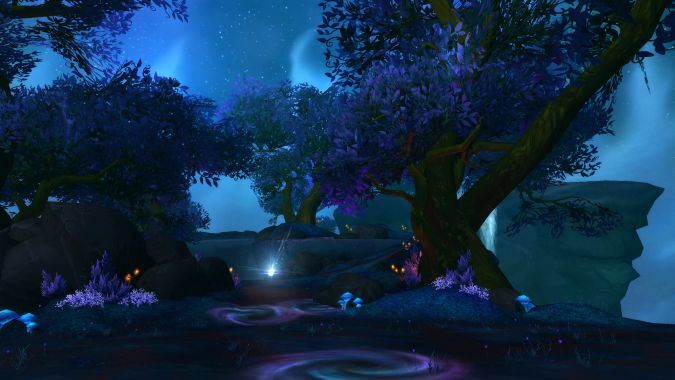 Windwalker Monks also have a couple of PVP changes. Storm, Earth and Fire spirits will now gain Tigereye Brew — but the brew now reduces your damage dealt by 25%, up from 20%. Read on for the full list of hotfixes below. Fixed an issue on Mac’Aree where players were being sent to graveyards incorrect graveyards. Chains of Ice now reduces the target’s movement speed by 50% for Unholy and Frost Death Knights in PvP situations (was 70%).